When your last competitive outing was a 6-0, 6-1 thrashing in front of your own fans, you could be forgiven for dreading the start of a new season. He quite simply can't wait to get started here in Melbourne. And given that he's contested three of the last five finals in the Rod Laver arena, his eagerness is perfectly natural. He likes it here; tends to play well here; and, I'll wager, believes he has a great chance of winning here. That mauling by Roger Federer at the O2 arena in November could prove to be something of a turning point for the British number one. For a start, I'll be very surprised if he ever lets it happen again, against anyone. More significantly, it was the cue for serious discussions with his team which resulted in the departures of assistant coach Dani Vallverdu, and fitness trainer Jez Green. For Murray, 2014 was one of his most difficult years on tour; he lost the services of coach Ivan Lendl, struggled to find his best form after back surgery, and found that the atmosphere in his camp wasn't at all what he'd hoped for after hiring a new coach. The 27-year-old Scot has never been afraid to make changes, or follow through with difficult decisions. Previous mentors Mark Petchey, Brad Gilbert and Miles Maclagan will attest to that. Following the appointment of Amelie Mauresmo as his main coach last summer, there was only ever going to be one outcome for anyone who wasn't fully on-board. You don't win the Olympics, the US Open and Wimbledon without a certain ruthless streak. Since leaving Scotland for Spain at the age of 15, Murray's made it pretty clear to anyone who has monitored his progress that he's not all that interested in compromise. So to put it in his words, he's "embraced some positive changes", with a fresh approach for the season ahead. And it's that kind of single-mindedness that should bring success in 2015. He told me he's hoping it will turn into "a great year" on and off court. He has a wedding to help plan, of course. But before that, he's hoping to add to the two Grand Slam titles he already has to his name. I wouldn't be at all surprised if a first Australian Open was tucked away in a fortnight's time. He seems to be moving as well as ever, hitting the ball with as much conviction as ever, and he thinks he's rediscovered the same kind of aggressive approach that brought him glory in New York and Wimbledon. Even though they were only of the exhibition variety, he's won all the matches he's played so far this year, and one of those was a dismantling of Rafa Nadal. That streak should continue into the business end of the tournament here in Melbourne. With all due respect to his first few opponents (a qualifier from India, then potentially Marinko Matosevic and Martin Klizan of Australia and Slovakia) Murray will very much expect to be pitching up for a fourth round encounter, probably against his Wimbledon conqueror from last summer Grigor Dimitrov. After that , there could be a quarterfinal rematch with Roger Federer, who beat Murray in four sets here last year. 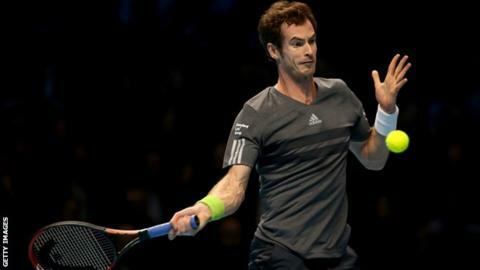 How Murray would relish the chance for revenge. There would be no better way to get that embarrassing London defeat out of his system while simultaneously paving a potential path towards yet another career milestone.